My journey to a Healthier Me is coming along….slowly…but each pound lost is one step closer to my goal of a Healthier Me. Here we go – drum roll please…….. I am down 40 lbs. since I began on June 6th. For those of you who have been following my Healthier Me Journey I truly appreciate your continued support and prayers. I have a long way to go, but I know with God all things are possible! Nutrisystem continues to be a great tool to assist me with my journey. I will continue with their food for another month or two then I will make my own food using their principals. I will continue as a member (which is free) as I use their wonderful helps and tools they provide. I highly recommend this program for those who are like me who need the extra boost with help with food preparations. It really has been useful because with my multiple health issues I don’t feel good most of the time so instead of grabbing junk food or eating out because I don’t feel well enough to prepare a meal, I can just grab one of their many already to eat meals. As of 8/23/11 I will lose my state welfare health insurance. The Social Security Judge has proclaimed me disabled and medically eligible for Social Security Income. Now what is in question is whether I will be eligible for the medical assistance due to my husband’s income. According to the regulations most likely- no. So even though I am proclaimed disabled I may not be eligible for any assistance. I know, this does not make sense to me either. Jim and I are in the process of reviewing some health insurance programs that accept pre-existing conditions. These are a bit costly so pray the Lord will continue to provide. His employer does not provide any benefits so it is up to us to provide healthcare. Thankfully Jim is taken care of through the Veterans Administration. Today I made appointments for next week to see the dentist and eye doctor before my insurance runs out. I also had to discontinue my much needed physical therapy due to health insurance loss. 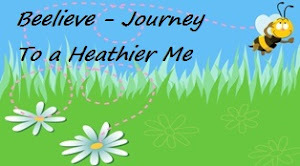 We ask that you continue to pray for my Journey to a Healthier Me as well as finding and provisions for my healthcare. How well I know what you are going through. Because we had been without work we were being covered by medicaid. I have had some pretty serious issues with my hands and the dr had really tried putting off the surgery that has a three+ month recovery time. Then it came time to re qualify and since Keith was working we were going to make to much to qualify...since then he has gotten laid off from that job. So with insurance coming to an end we scheduled the operation and I let them know (medicaid) that I would still being going through physical therapy...but that didn't matter to them...they canceled anyway. So I let the therapist know and she gave me all the exercises I would have to do...and I have been doing them myself. I have my last appointment with the dr in about three weeks...with an out of pocket of about 250+ for the appointment. Of course that is not going to happen. Keith is back to work but there is no way we will be able to pull that out. But...God knows and so I am not going to let myself stress. I will pray that your situation works out. I am so proud of your weight loss...keep up the good work. I do know this....He takes care of His own! We are happy to hear that you are enjoying the program! Your 40lb weight loss is really something to be proud of! As you continue on this journey, be sure to check out the amazing support systems that we have in addition to our online community. By liking us on Facebook and following us on Twitter you can receive extra encouragement, advice and info! We are always available if you have any questions or concerns, and can be reached via email at moderator@nutrisystem.com. Good post here.Thanks for sharing this info.